Breast cancer is the leading cause of cancer deaths in women ages 20-59. 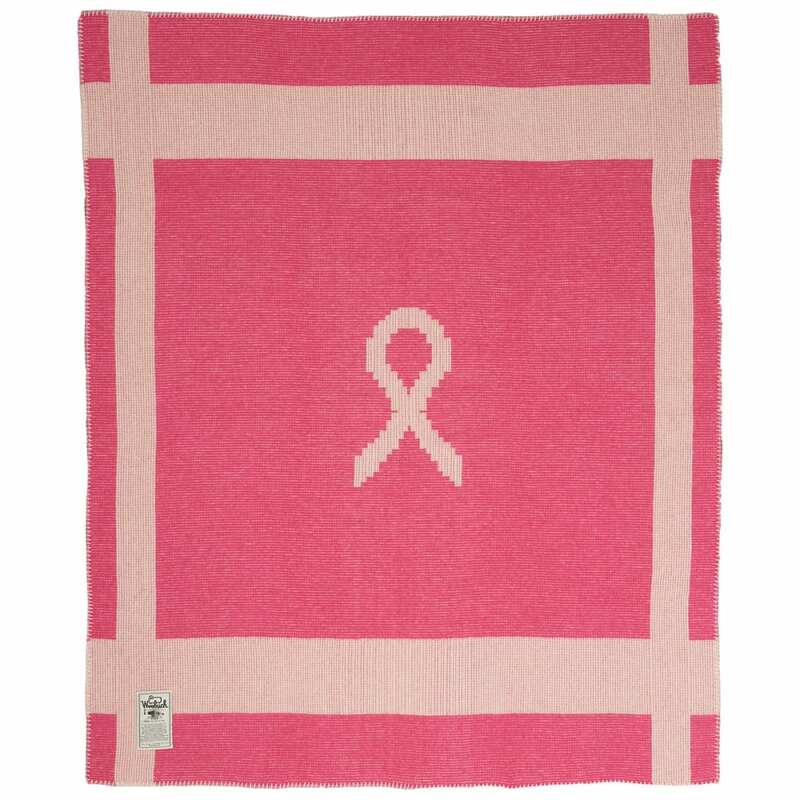 Show your support for breast cancer awareness and research by purchasing Woolrich’s Breast Cancer Awareness Blanket. Woven at the Woolrich woolen mill from a 98% wool/2% nylon dobby blend in pink, with soft cream border stripes and center ribbon. Expertly finished with over-seamed and crocheted whip-stitched edges. Measures 50in. W x 60in. L. Woolrich will donate 5% of the proceeds from the sale of this blanket to a breast cancer 501C3 charity in North Eastern Pennsylvania. 50in. W x 60in. L.